DevOps is taking the world by a storm, however, not all DevOps roles are equal. If you want to play in multiple Fortune 100 sized sandboxes, then this is the DevOps opportunity for you. Within Fortune 100 companies, virtually every production application was built and is maintained using the traditional waterfall SDLC practices. Working alongside our key partner Chef, we’re helping these Fortune 100 companies (primarily 10,000+ sized firms) transform these environments into a continuous integration DevOps / Agile infrastructure. We’re looking for a developer ready to transform how Fortune 100 companies deploy and manage their production software application environments. You will own, lead and guide enterprise technology teams through a Waterfall to DevOps / Agile transformation. You and nurture them to embrace the CI/CD transformation. You will provide technical direction, deliver workshops, guidance, advocate, mentoring, and coaching. You will bridge the gap between technology and the business. Ultimately helping the customer to become self-sufficient enabling them to transform future projects. This is primarily a software development role. Professional Growth and recognition. We’ve doubled from 40 to 80 professionals in less than 2 years. Be part of that growth. On the Branham300 List of Top Canadian ICT Companies, 3x in a row. Agile and SDLC methodologies. MUST HAVE. Ruby on Rails in a Test Driven development environment (highly preferred) or Python or Perl. Sound like you? Send your resume to rick@searchvelocity.ca now! Our client is a custom software development and IT professional services firm. 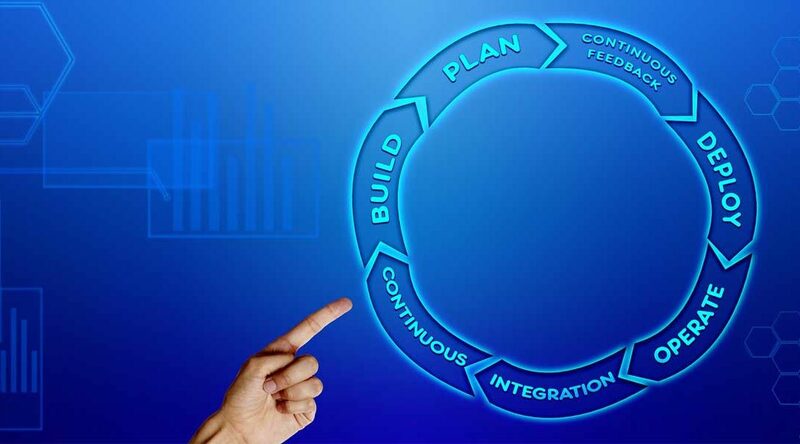 They’re tearing down silos from development to IT by helping companies move to a DevOps / Agile production environment. They are part of today’s fastest-growing areas in the IT industry: DevOps, big data and analytics, and secure workflow management. They are Canadian company based in Oakville. In 2017, they were recognized as one of Canada’s Fastest-Growing Companies by Profit 500, a Top ICT Company by Branham and received the Excellence Award in Quality Improvement from PBMI.